The technology of VR has been growing ever-since Facebook acquired Oculus. In the gaming circuit, it has a strong presence. The VR device is divided into glasses, helmets and all-in-ones. After testing various conductive slip rings, an advanced and sophisticated slip ring is created to fit in perfectly in the Virtual Reality wearable devices. 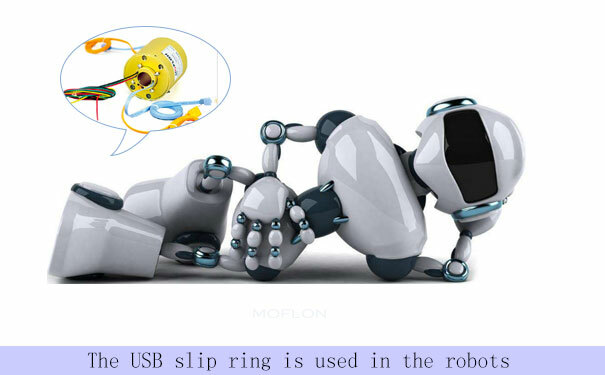 In general, the slip ring connector is used in the somatosensory appliance which includes body-eye-gesture recognition and input devices for mechanical bone and force feedback. The slip ring is usually used in such wearable devices for continuous 360-degree rotation. It helps to rotate the stable internal mechanical devices. The VR slip ring is fixed between the stationary and the rotary parts with screws. The power and data signal is transmitted through the slip ring connector when the connection between the wires happen. The rotor runs relatively in an unrestricted manner for 24 hours and supplies the required image signal to the stator body. The slip ring gives a high-performance while put into use in the VR device. The usb slip ring is used in the robots, wind power, satellite, medical equipment and security surveillance industry. In order to perform the continuous rotation and numerous relative motion of the rotating structure in the satellite apparatus, it supplies the electrical energy and data signal to the stationary part. The high amount of fiber optic signals, fluid pressure energy, high-frequency signals and energy transmitted to the rotating shaft during the rotation of the slip ring. To operate the slip ring in a normal condition, it is necessary to form a contact between the electrical energy and signal in the rotary part and the stationary structure of the satellite. Satellites are used in the scientific research, meteorology field, military field and marine surveillance. It can work in all-weather throughout the day. The satellite has the capacity of performing the high-precision positioning and navigation of an area. The satellite has played an important role in the defence field as it has many advantages. In the recent years, it has gone through a number of developments. 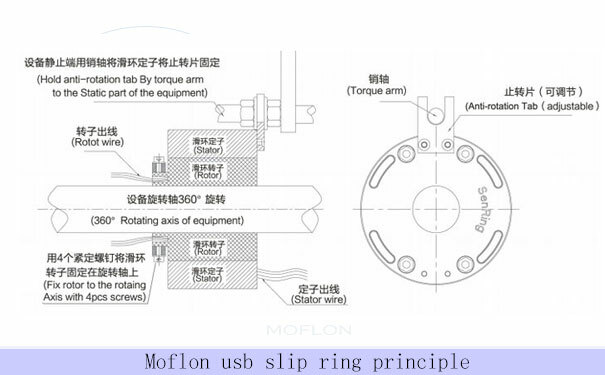 The usb slip ring product helps to complete the orbit of the satellite. The usb slip ring supports the satellite with the communication of frequency and transmission of the data signal. It can withstand both the low and high temperature of the environment. Several industries utilize the slip ring electrical connector to increase the productivity of their machines. The slip ring has also gone through many changes with the aid of modern technology. Such category of slip ring belongs to the electrical contact sliding connection. While operating the electromechanical parts in 360-degree continuously, the wire needs a connection to the rotating structure of the machine. The owner of the factories may face a wire winding problem during the operating system. The electrical slip ring helps to transmit the power and signal to the stationary structure of the machine. It is actually a precision image or data signal and power transmission device to the two relative rotary machines.